Over two thirds of UK consumers ages 14 and older, roughly about 26 million people, bought goods, travel services, such as flights and tickets and holidays, online at least once per month in 2010, according to eMarketer in November 2010. So it's plain to see that travel items come very high up the list of online shopping priorities. Here's a list of some of the best ways to spend your money online before you set off on your trip. Electronic tickets and online check- in – Both of these inventions would not have been possible without the internet, and so were only developed in the mid-nineties. How did we travel in the old days without the web and email to help us? Foursquare – The mobile phone app for the discerning traveller. This location-based site created by Dennis Crowley and Naveen Selvadurai was built upon the idea of status updates. You can check in to destinations and get real-time info about local shopping, tourist sites and restaurants. GPS – Love it, or loath it, the Global Positioning System has revolutionized the way we find out way around using satellites to track our location on earth. Sea-bands - A drug-free remedy for motion sickness, the reusable Sea-Band was created in 1983 by Daniel Choi who turned to a traditional Chinese treatment from his youth. The Sea-band is said to cause a release of endorphins in the vomiting centre of the brain to ease sea sickness, and other vehicular sickness. Inflight meals – Another love them or loathe them, but that depends of the airline's standards. The first boxed meal was created for Continental Airlines in 1978 by Oakfield Farms Solutions. It was made up of cheese, crackers, raisins, a chocolate bar, a napkin, and a knife packaged up in a shrink-wrapped box. Earplugs - Essential for a peaceful flight, an undisturbed night in a hostel or tent, and to survive any particularly annoying travelling companions on long haul routes. Loyalty points - Frequent-flier miles were introduced in 1979 by Frank Lorenzo, the president of Texas International Airlines to rewarding customers for their loyalty to a particular flight company. Wi-fi - The wireless way to a high-speed Web connection was pioneered in 1996 by Dutch electrical engineer Vic Hayes Nearly everywhere offers Wi-Fi internet access for the price of a cup of coffee these days. 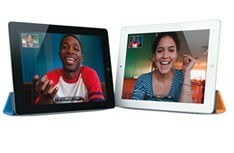 Skype, and tablets are also included in this number. Translation apps for phones and tablets – No longer any need to squeeze in tiny texted dictionaries into your hand luggage. Learn the vocabulary of the country you're heading to easily and quickly. Translate menus and instructions at the click of a button. The travel pillow – Comfortable, easy compact and packable a travel pillow is worth its weight in gold to a long haul traveller. Available is a variety of different shapes, materials and colours. Don't leave home without it.